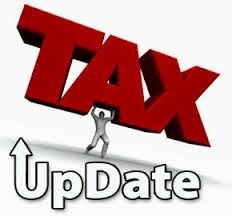 Institute of Company Secretaries of India (ICSI) has issued clarification about Tax changes applicability in Company Secretaries Examination to be held in June, 2016. Institute of Company Secretaries of India (ICSI) has published a clarification on it's website [www.icsi.edu] about latest Finance Act and other changes applicability for the CS-Students going to appear in Company Secretaries June, 2016 Examination. Direct Taxes applicable for June, 2016 Examination shall be Assessment Year 2016-17 (Previous Year 2015-16). Students appearing in ‘Executive Programme’ (in the 'Tax Laws and Practice (New Syllabus)' and 'Professional Programme' (in the 'Advanced Tax Laws and Practice') respectively may take note of the following changes applicable for June, 2016 Examination. As mentioned in the update guide, "Since, Wealth Tax Act, 1957 has been abolished w.e.f. 1st April, 2016. The questions from the same will not be asked in examination from December 2015 session onwards."